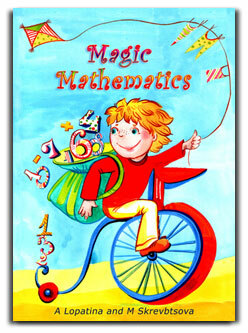 Stories on mathematics for children, parents and educators. Maths is FUN! School Subjects can be FUN with a correct approach! HOW MANY STORIES DID MUMMY READ? One story just wouldn't do. Mum read us another two. How many stories did mummy read the children in total ? Write this down in numbers. Talk about your favourite stories. What kind of fruit do you like most of all? Make up a sum in which you end up with three of your favourite fruits. And soon they found three little seeds. Took two seeds and left one behind. The smaller mouse whispered straight away. The hungry mouse found another seed! 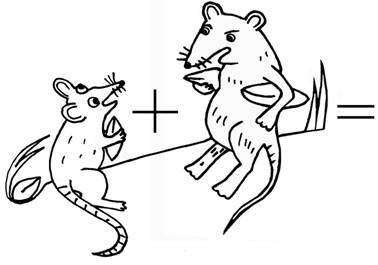 Draw the seeds from the poem with two examples about how they were shared out. Why did the sun feel sorry for the mouse ? How do you think the mice should have divided up the seeds? One person lost his purse with money. So he decided to make an announcement: "The one who will return my purse, will receive one hundred coins that is one third part of all money in the purse." Pretty soon a passer-by found a purse, and after reading the announcement, brought the purse to its owner and asked the promised hundred coins. The owner of the purse regretted about his own promise and told to the passer-by: "You have taken one hundred coins already from my purse because there were four hundreds coins and now there are only three hundred." In that city lived the wise judge. And the passer-by went to him to complain about the owner of the purse - that he doesn't want to fulfill his promise. Hearing the whole story the judge called the owner of the purse and asked him: "How much money was in your purse at the moment when you lost it?" "Four hundred coins," answered the owner of the purse. equal to one hundred coins. It proves that this is not your purse. So you should return it to the passer-by, and go search for your purse by yourself." How much money was in the purse? Why did the merchant not fulfilled his promise? Why do people sometimes promise something, and then refuse to fulfill their promises? 50 stories and activity lessons on mathematics through moral stories, creative entertaining games, logical tasks with spiritual insight helping children to achieve an important LIFE SKILL to be creative in exact science. Training through moral tales helps children to become friends with the Queen of science - mathematics, to develop appreciation for sciences and to get better RESULTS not only at school but also in every day's life. MATH is NOT boring ANYMORE! Discover how to develop in your children interest and love for mathematics. Let Numbers become friends with your kids! Stories on mathematics. Mathematics: unique approach to school subjects.